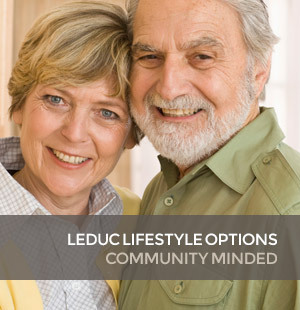 Leduc Lifestyle Retirement Community offers retirement suites in an assisted living environment with a variety of floor plans which include one bedroom and two bedroom suites with fridge, stove, window coverings and balcony. Each self contained suite is geared to meet the needs of seniors while encouraging independence. All meals are prepared by a highly qualified chef and staff and served in a spacious dining room. Safety and security is provided by our trained staff and 24-hour on-call service is available. Our supported living suites integrated throughout supportive housing focus on independence, interdependence & wellness programs. Lifestyle Options - Leduc has been viewed 62 times over the past 30 days (5302).